Pierate - Pie Reviews: 500th Pierate Pie Review - A landmark occasion! 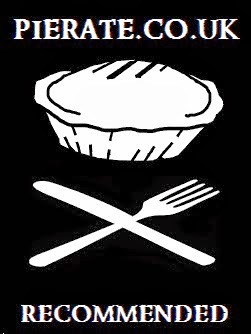 Over the last 5 years we’ve rated pies from large pie producers, local delis, farmers markets, pubs and specialist pie shops, but as we reach a landmark 500th pie review we’ve gone for a small local café serving delicious pie to the locals and tourists in Southend-on-Sea, Essex. For to us, the promotion of and rating of great pies up and down the country is what we’re about here on the Pierate Ship and it is heart-warming to see that pie is a staple on local café menus just as much as the local chip shop, gastro pub or artisan pie stall. So during a trip to Southend-on-Sea on a sunny weekend at the end of British Pie Week 2015, with 69 pies already consumed in the week between the two Pierateers RAS and SJL, they rounded off day seven of British Pie Week by both having the homemade Steak Pie at The Pier Arches Café – which is literally under the arches at the land end of the landmark that is Southend Pier, the longest pleasure pier in the world, and thus in the heart of the Southend seafront. 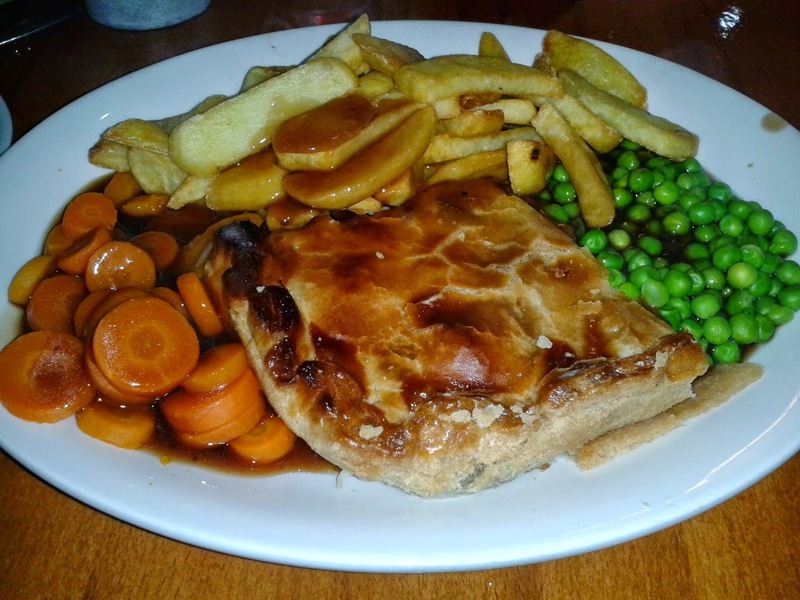 We celebrated British Pie Week 2015 with our 500th pie review! Owner Sam had taken over the small business from his grandfather a few years back and had brought an even bigger focus to using fresh ingredients in his meals to the visiting tourists and regular customers of his sea front café. However one thing he didn’t need to change apparently was his mum’s homemade steak pie recipe, which was kept exactly as it was. At £6.80 for a large slice of pie, chips and two veg, literally a stone’s throw away from the longest pleasure pier in the world, this is a great value meal served by friendly staff and a great place to celebrate our 500th rated pie on www.pierate.co.uk! The pie itself (photo coming soon!) was a large slice of steak pie taken from a larger, fully encased tray baked pie, with a strong capacity of tender steak. It was quite a shallow pie but being such a large slice of pie it was certainly filling! The meat was very nice, served in a flavoursome gravy which had a good consistency for a pie. While some may argue a straight steak pie filling does not have the excitement of a more complex steak combination (such as with ale or other ingredients) the important things were done well and that has led to a strong rating. The shortcrust pastry held together well and wasn’t too crumbly. It was slightly crisper on the outside of the pie than the central lid, though part of this was due to the gravy that had been poured onto the pie prior to serving and quite tasty. The filling:pastry ratio for the pie seemed pretty much spot on even if it was quite shallow. Overall, the pie meal was very nice and worthy of being Pierate Recommended. A delightful end to our first 500 pie reviews... and here's to many more voyages of golden pie discovery on the Pierate Ship!